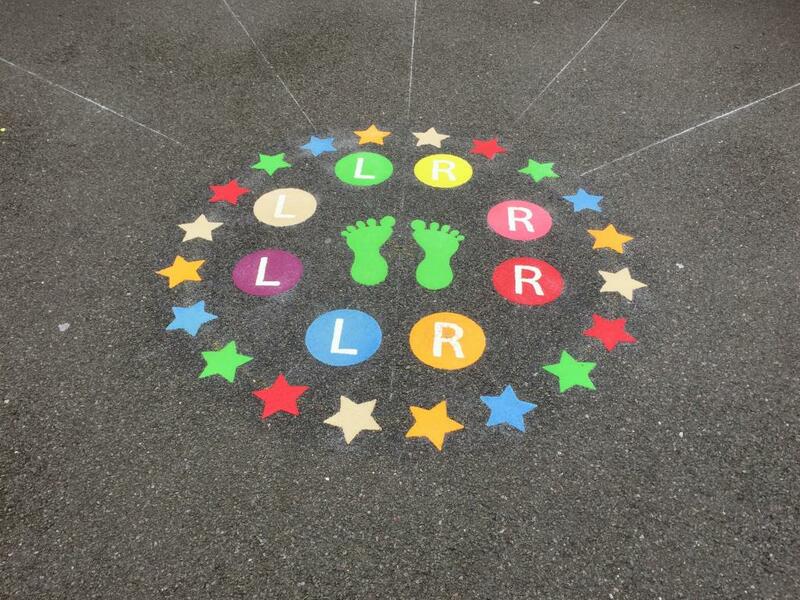 first4playgrounds have introduced a new playground marking specifically designed for cycle proficiency. 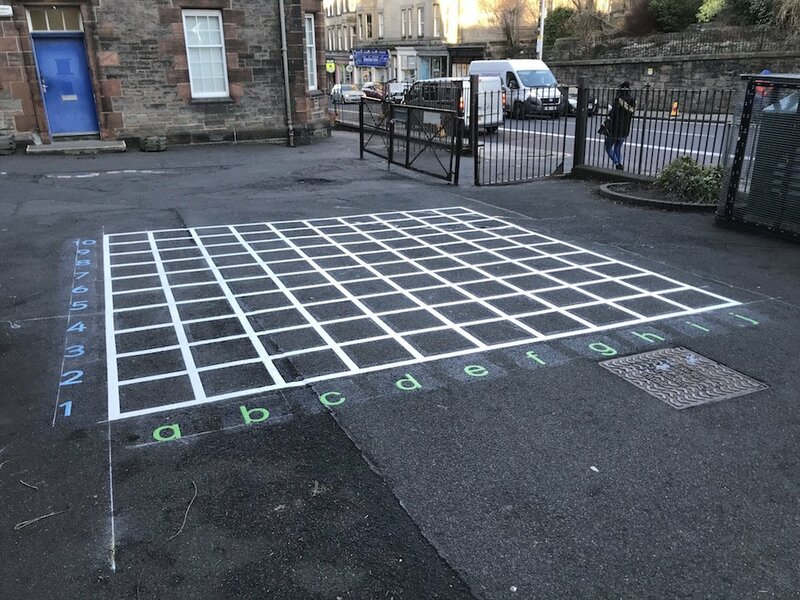 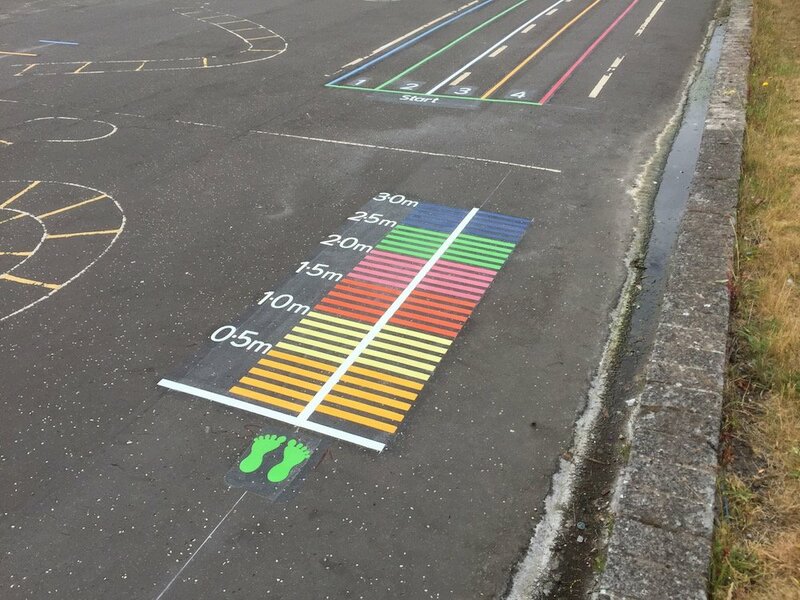 The 20m x 14m road track is 4m wide and has a “T” junction allowing children to practice their bikeability skills in a safe environment away from road conditions. 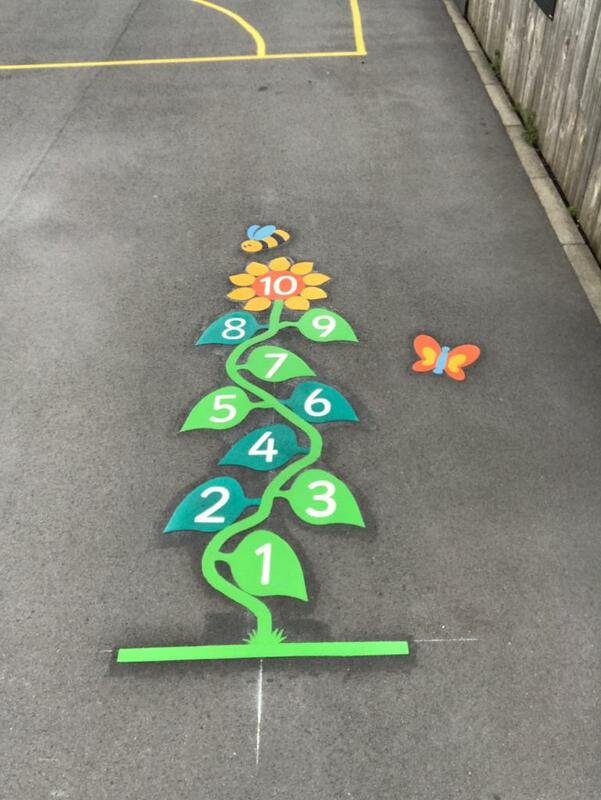 The installed price for the basic cycle track marking is £325.00 excluding VAT. 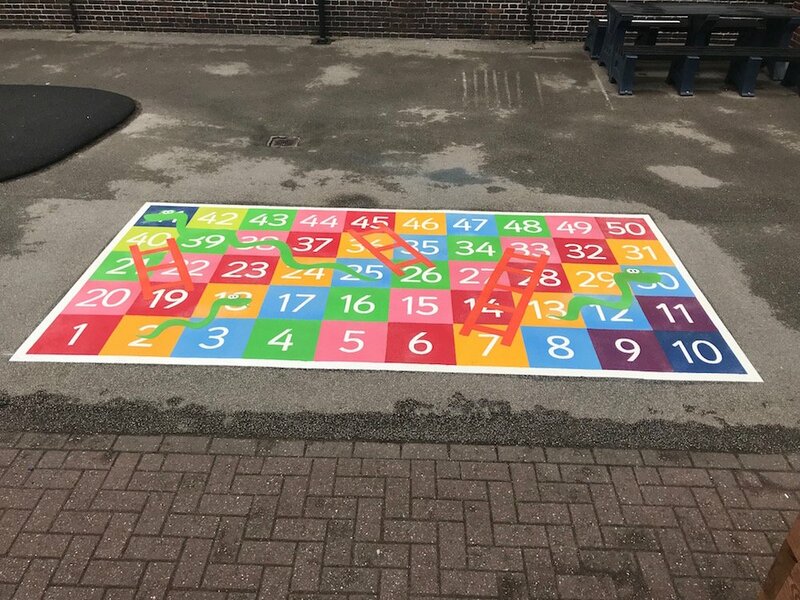 At first4playgrounds we can install any design that is required. 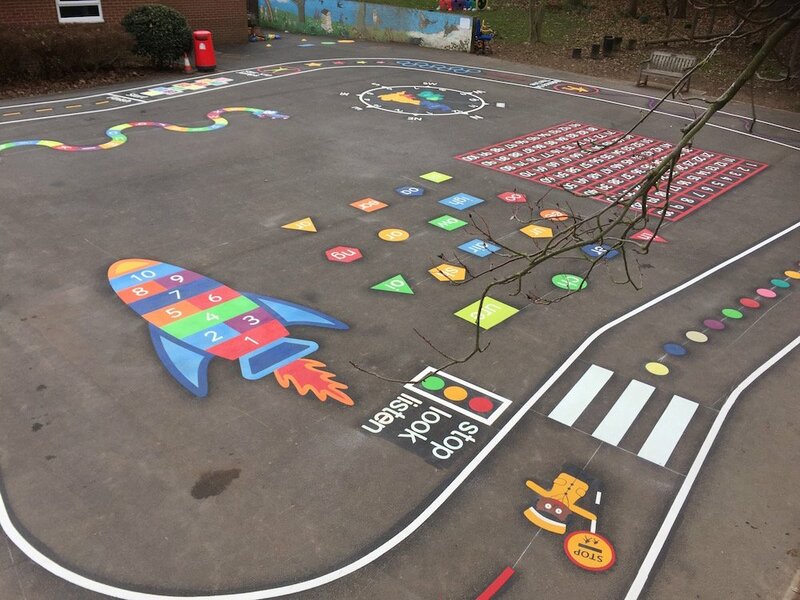 Many school prefer their own bespoke bike track designs. 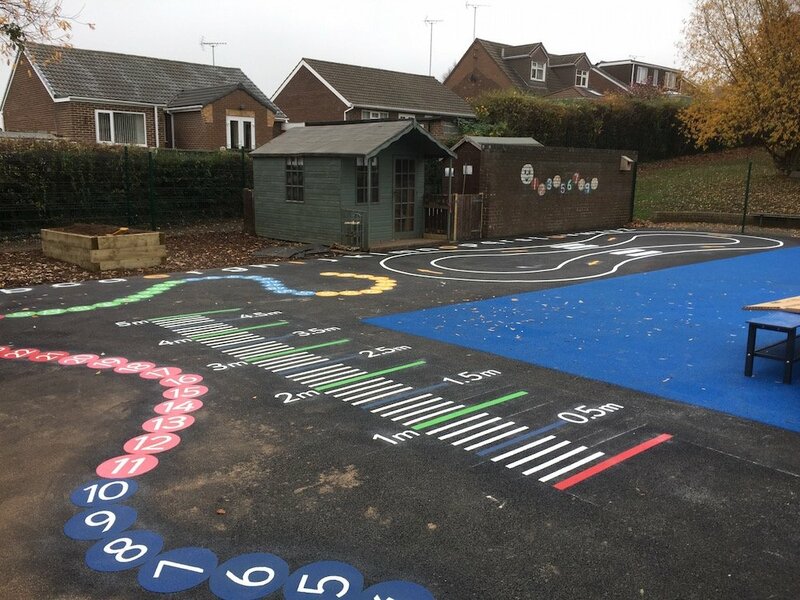 Here are some of the bespoke bike track we have installed. 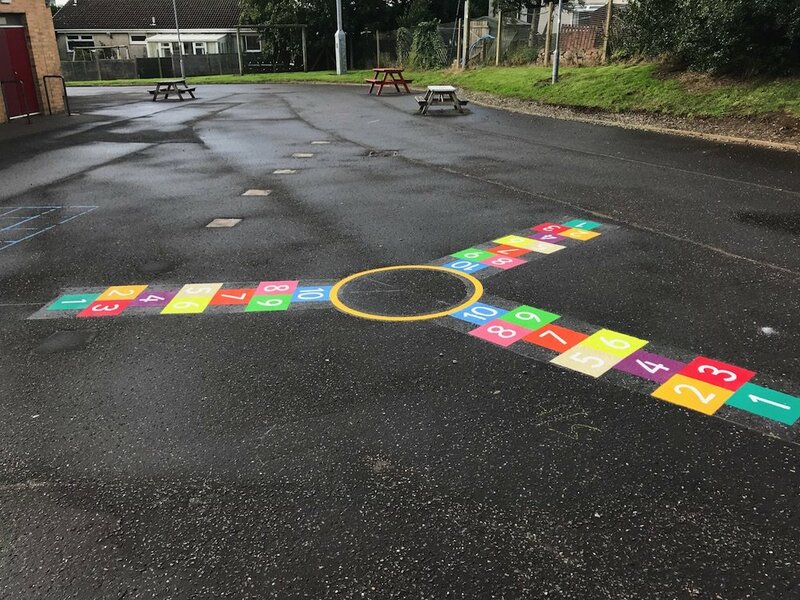 Bike track with start and stop. 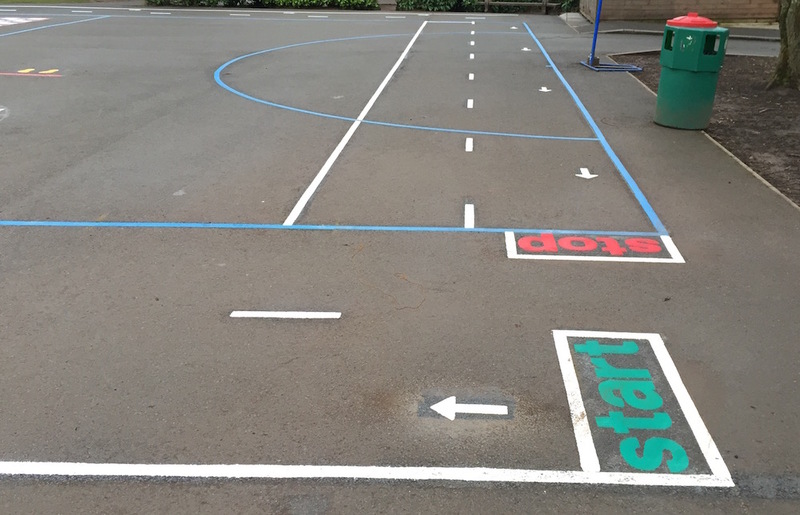 The bike track goes around the blue netball court.